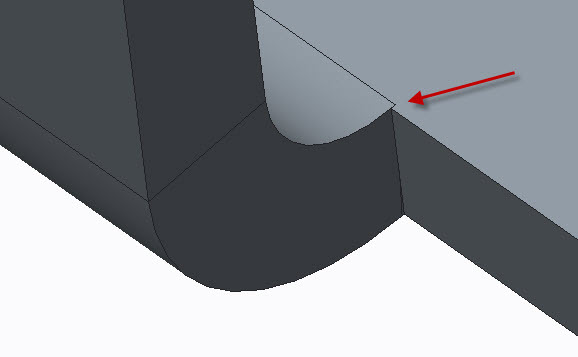 The problem is in your first two Bend features. The radius cuts slightly into the main bottom surface. You can either adjust the distance or create a Rip inside the Bend features. 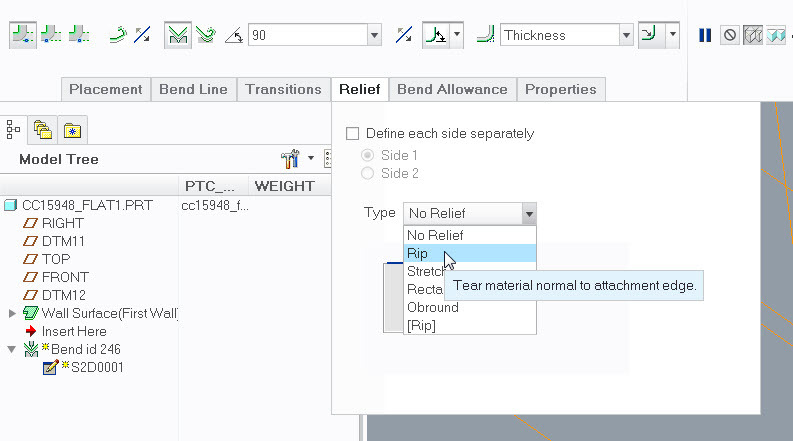 I'm on Creo Parametric 2.0 so can only provide screenshot from this release. Note Form features are suppressed due to missing reference models. Your part is actually set to the default relative accuracy of .0012. Changing this to absolute at .0005 will also resolve your model. Default sheetmetal part template values are absolute .0005 for inch and 0.0125 for metric. You can do this option in session.